Ellen Zachos is a former writer for The Spruce, contributing articles and recipes for almost two years. 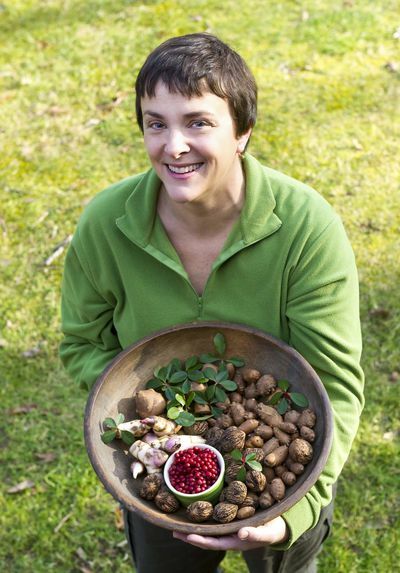 She is the author of six books on gardening, houseplants, and foraging. She leads foraging walks for private groups all over the country, teaches at the New York Botanical Garden, and lectures at garden shows and events around the world. She forages in the wilds of Central Park, the deserts of New Mexico, the mountains of Scotland, and the gorges of Greece. She especially enjoys teaching foraged mixology workshops to bartenders. Ellen Zachos has a Bachelor of Arts from Harvard and earned multiple certificates in Botany and Horticulture at the New York Botanical Garden. Ellen Zachos has a regular foraging column in Edible Santa Fe. She has also contributed to Taproot and The National Gardening Association Learning Library.